All of those Swanbourne men who are named on the War Memorial opposite St. Swithun’s Church, have been researched. The results of this research are summarised as PDF’s below. Click on the soldier’s name for more details. 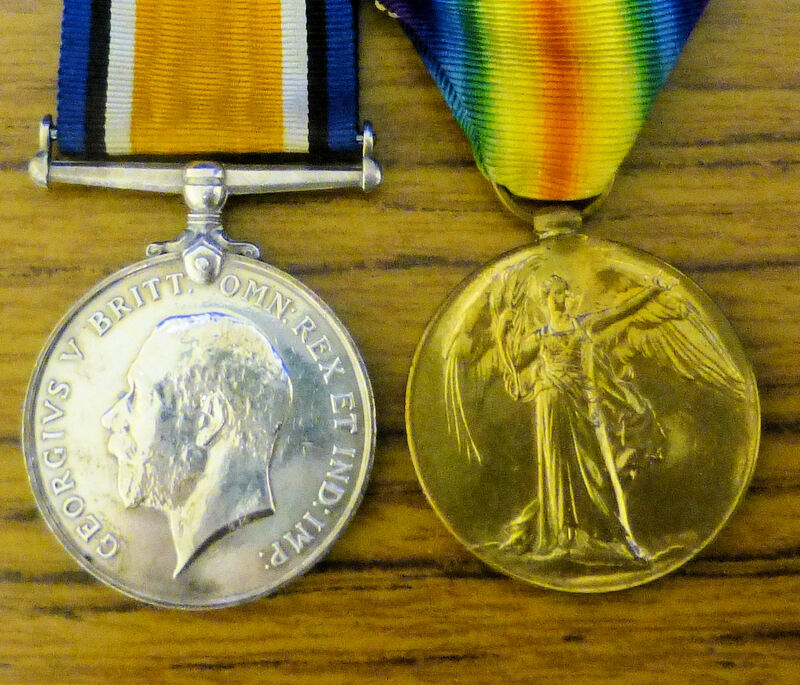 Most of Swanbourne’s Servicemen would have been awarded two British campaign medals. 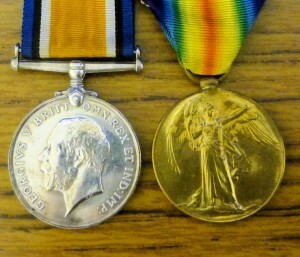 They are commonly found as family heirlooms: the British War Medal and the Victory Medal (photograph, below right). These new memorial gardens (adjacent to the main war memorial site) have been developed as a place for rest, remembrance and reflection. 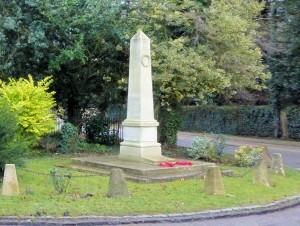 Swanbourne Community Association helped to initiate the project in cooperation with the Parish Council. Roger and Anne Parker were instrumental in the acquisition of the excellent circular bench. 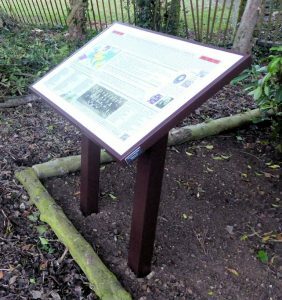 A new history plaque (written and designed by the SHG and funded by the PC) has been installed which provides details of Swanbourne’s WW1 veterans. The PC also funded new ironwork fencing at the boundary with the Park, and an entrance gate. The whole project has been assisted by securing one of the last grants from AVDC’s Community Chest to the SCA and a grant from Bucks County Council’s LAF fund to the PC. Special thanks go to Philip and Sylvia Dalton who are our gardeners. They have done a fantastic job, completely transforming the garden area. Updated information on all the servicemen has been meticulously researched by Linda Rodgers and Ken Harris. Clive Rodgers has used the servicemen lists to compile a plaque for the new gardens including the artwork and enhanced archive photographs.